For searches ending February 12, snowboarder Shaun White outstrips other popular Olympians. 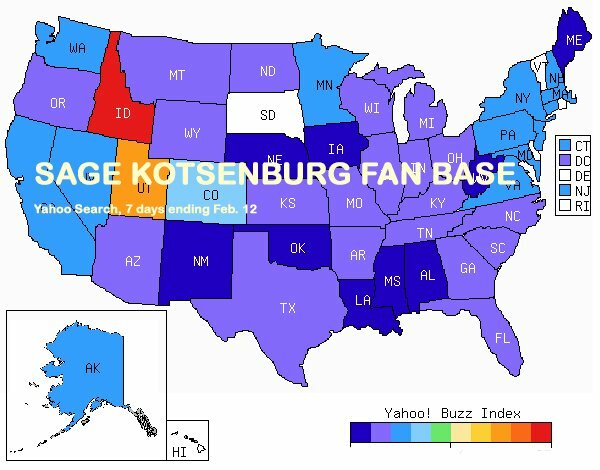 But while their online rankings may change, it’s interesting to see where the fan base might live — at least, judging by search-per-capita. 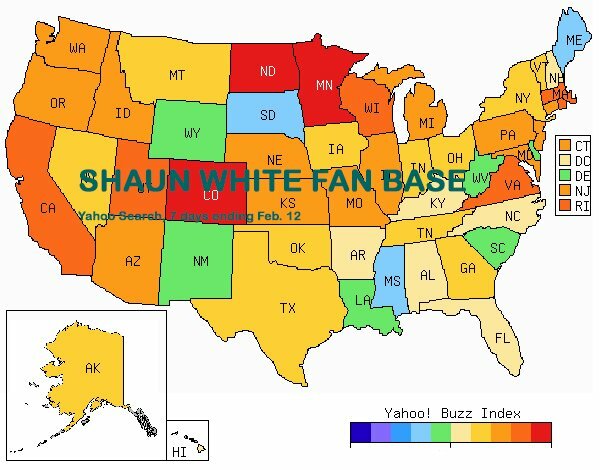 Snowboarder Shaun White topped Olympian searches on Yahoo in the 7 days ending February 12. As this heat map shows, White has been a focus pretty much coast to coast. The red states indicate the most intense searches, in this case Colorado, Minnesota, North Dakota and Rhode Island. On a regional level, following Twin Falls were San Diego, Denver, Minneapolis-St. Paul and Milwaukee. 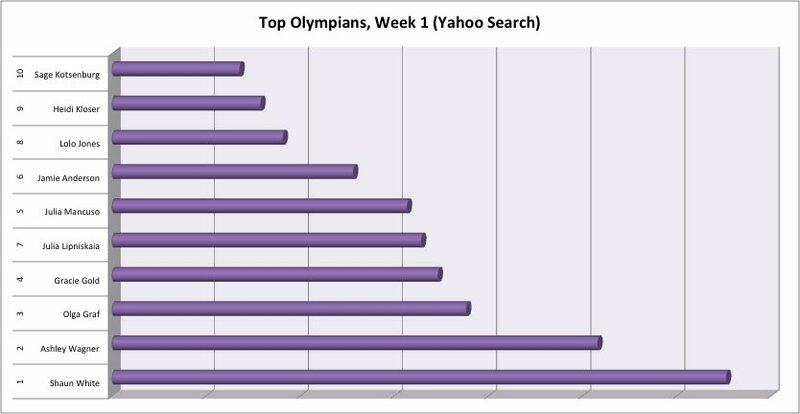 White may also be reassured by his youth appeal: Of the top 10 Olympians in the past seven days, he has pulled in the most searches among people in their 20s. White also draws in the sexes pretty equally: In the past seven days, his queries have run 54 percent female, 46 percent male. The only other person more equal-opportunity in his appeal is gold medalist Kotsenburg (48 percent female, 52 percent female). The most lopsided appeal has gone for injured moguls skier Heidi Kloser, whose search numbers have been running 94 percent male, 6 percent female. Alpine skier Julia Mancuso comes close to that with 92 percent male, 6 percent female.